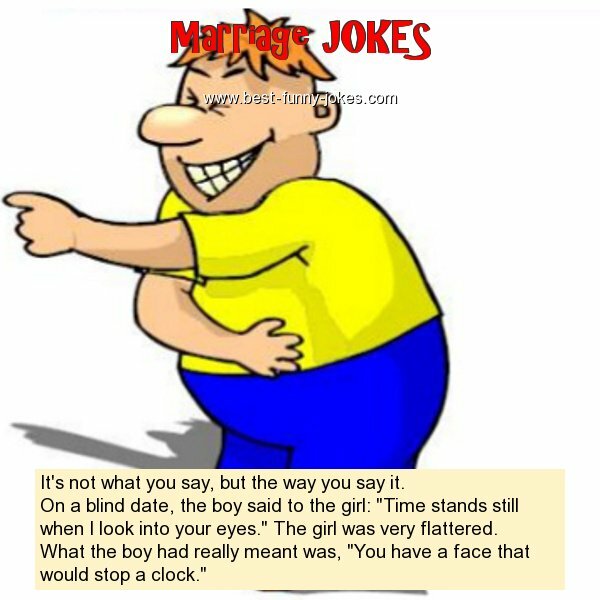 On a blind date, the boy said to the girl: "Time stands still when I look into your eyes." The girl was very flattered. What the boy had really meant was, "You have a face that would stop a clock."